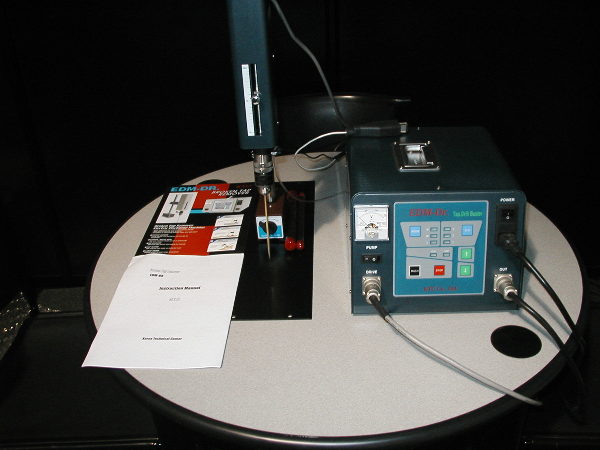 McWilliams Sales & Service, Inc.is pleased to offer for sales both Manual and Full CNC Small Hole EDM Machines as well as the very unique Portable Tap Buster or Broker Tap Remover Machine. 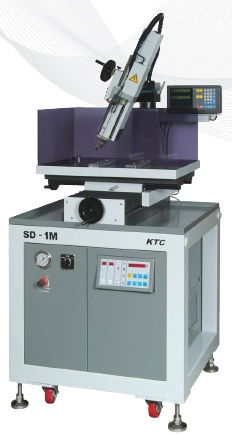 The Manual Small Hole EDM Machines available are the Models SD1M and DJ1612. The Model SD1M EDM is available with either a fixed vertical head or the very popular swinging/pivoting head. This swinging/pivoting head allows you to save money on expensive EDM tooling because the EDM Machine head can pivot at any angle between vertical to horizontal positions to EDM your required holes. This machine can use electrodes from .003-.156 inch in diameter. 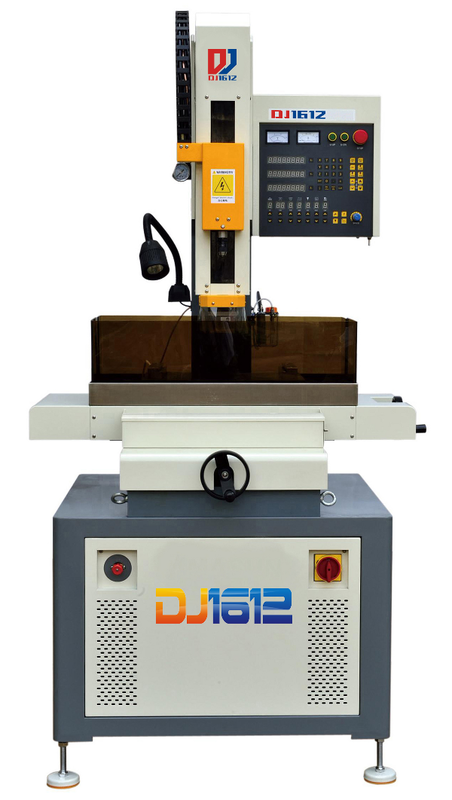 The Model DJ1612 Small Hole EDM Machine is our 2nd generation inexpensive basic EDM Machine capable of EDMing holes using .012-.118-inch diameter electrodes. 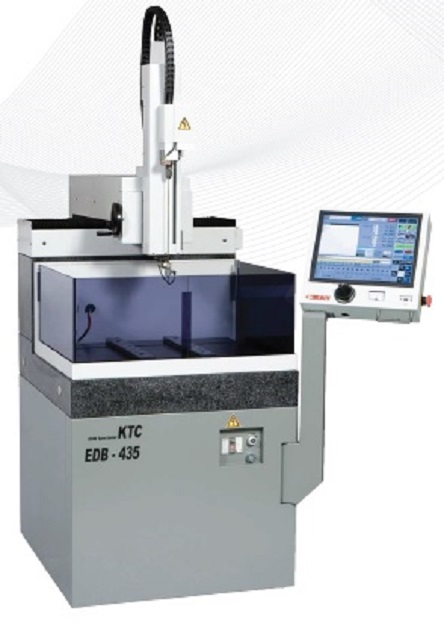 The CNC Controlled Small Hole EDM Machines available are the Models EDB-435 and EDB-840. 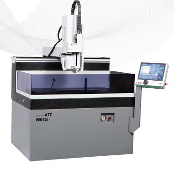 Both models are available with and without (AEC) Automatic Electrode Changer Units and come standard with LCD touch screen monitors to allow input of drilling and cutting programs and parameters. Dielectric fluid filtration units are also available as an option. 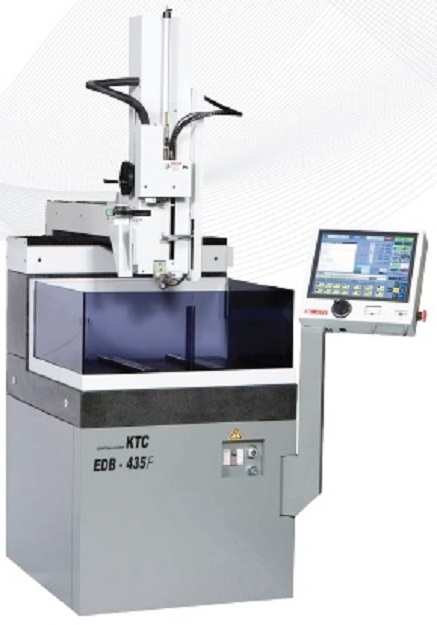 These Small Hole EDM Machines can use electrodes from .003-.156-inch diameters without the optional AEC unit and from .012-.118-inch diameters when ordered with the optional AEC unit. This unique EDM Machine can be brought directly to wherever you need to EDM out a broken tap or drill. This means you never need to remove and lose the positioning of your big or small parts just to be able to remove a broken tap or drill. This Tap Buster/ Broken Tap Remover uses normal tap water as the dielectric and with its standard internal pump it can use brass or copper single hole or multi hole electrodes from .039-.256-inch diameter. This EDM machine uses 220VAC, 5A single phase power and with the optional 110-220VAC buck boost transformer allows you to plug into any 110VAC wall outlet in your facility.